(PRLEAP.COM) Norwood, NJ - September 11, 2018 - Windsor Healthcare released the organizations new look via Facebook Live on Thursday, September 6th, 2018, in the first event of its kind for the organization. Earlier last month, management announced its upgrades to their facilities, services, and employee programs, and the need to upgrade their brand to recognize the improvements. Within moments of the Executive Team broadcasting live, all nine of the organizations skilled nursing facilities, who were each holding a viewing party for staff and residents, were tuned in awaiting the announcement and reveal. Hyman Jacobs, President and CEO of Windsor Healthcare cheerfully revealed the new brand after his son, Senior Vice President Michael Jacobs, used the platform as an opportunity to personally address their 2000 employees. After reviewing the clinical and operative systems put in place over the last 16 months that prepared the company for the rebrand, Michael said, "This is a tremendous, special day for the organization….at the end of the day, we are really nothing without all of you." He added, "it would be unfair of us to just introduce a new logo or website or a new direction of where Windsor is going without you guys being a part of it." Before Hyman Jacobs did he honor of showcasing the new look, Christina Fleming, Vice President of Marketing, described the inspiration of the logo. She spoke about why a dandelion was chosen to be the new image of the brand. Christina said, "Dandelions have healing powers, and are known to thrive in harsh living conditions." 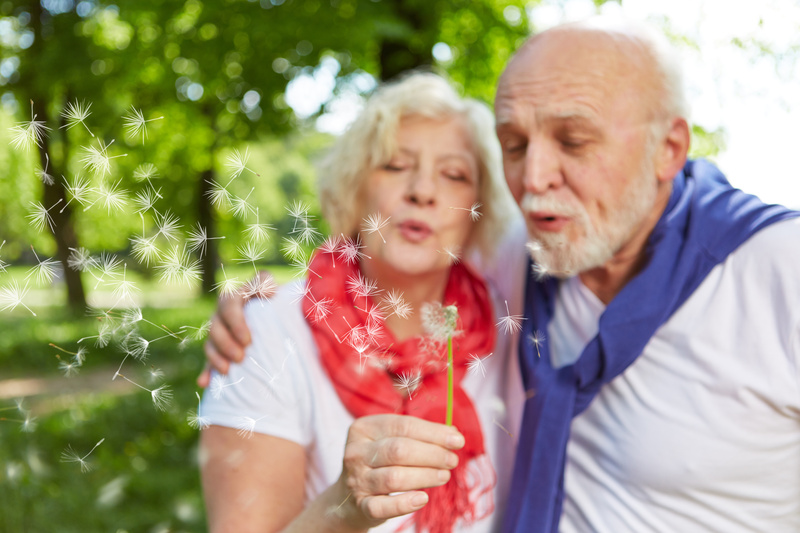 She compared dandelions to the significance of aging and the manner at which guests present at the time of needing post-hospital or long-term care. Christina added, "this logo is for our patients. It serves as a reminder that there is beauty in life's difficult moments." Chris Metternich, Chief Operating Officer, addressed his leadership team by saying, "To me, this logo represents our organizations ability to adhere to the notion of doing what is right each and every day, with every decision we make. As executive leaders for Windsor Healthcare, we value the personnel, the owner's initial mission, and of course each other as the leaders of the organization. We will remain committed to the future of offering high quality, affordable health care options for those who are the most vulnerable in our society." With this new branding comes the organizations campaign, #SpreadingWellness. Over the next few months, they will feature select employees on their website sharing their own reasons for Spreading Wellness as a member of the Windsor Healthcare family, as well as a campaign to highlight those graduating from their post-acute services and back into the community. Windsor Healthcare invites consumers and industry professionals to their new website to be part of the campaign at www.windsorhealthcare.org. A family-owned organization, Windsor Healthcare provides clinically sophisticated post-acute care and rehabilitation, as well as comprehensive nursing care, in nine facilities throughout New Jersey. They take pride in adopting progressive thinking in healthcare models and partnering with the most well-regarded medical providers in the state. With leadership experience, well-trained staff, meticulous attention to detail, and a history of operational excellence, it is no surprise that their facilities are consistently rated among the best in New Jersey. Please visit www.windsorhealthcare.org for more information.